Rick Berry Sensei has trained in the martial arts since 1965. He received his black belt in a Tae Kwon Do system called “Ji Do Kwan” in 1969. 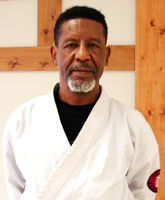 He has taught over 2,000 students as a Tae Kwon Do instructor, and has promoted 22 black belt students. Rick Berry Sensei has trained in Aikido for over 30 years, and achieved 1st degree black belt rank in 1990. He was designated as regional coordinator for the tri-state area in 1996, and promoted to 7th degree black belt by Shuji Maruyama Sensei in 2013. 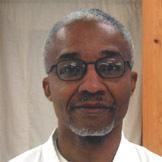 Berry Sensei teaches Aikido at Swarthmore College in the PE department, and many of the classes at the Wilmington dojo. Founder of the Quiet Storm System of Ji Do Kwan / Tae Kwon Do; Sensei Berry is the author of Stepping off the Mat, published in 2004. Browse Sensei Berry’s blog to read his thoughts on aikido, the martial arts, and much more. In 1969 Nick enrolled in judo for the fall semester, then in the spring semester began to study Tae Kwon Do and continued for the next 4 years. From 1974-1985 he studied “Ji Do Kwan” style of tae kwon do under Mr. Rick Berry of the Quiet Storm Karate Club of Chester. PA. Beginning in 1984, Nick has been studying Kokikai style of aikido under Mr. Rick Berry in Swarthmore, PA. and Wilmington, DE. Present Rank: 6th dan (6th degree black belt) Quiet Storm System, Ji Do Kwan / Tae Kwon Do; 5th dan (5th degree black belt) in Kokikai aikido. 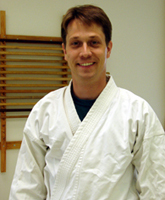 Andrew started aikido in 1991 and is the senior student and Director of Promotions. He is attracted to aikido for not only its grace and power, but also for its spiritual nature. Andrew currently teaches the Monday night regular class. His teaching skills, however, extend beyond the dojo, as he is an elementary school teacher. He finds that his training in aikido helps his classroom presence where he finds the principles of redirection and blending useful in classroom management.